Delightful Decorations-Holiday Mini Sneak Peek! Well, I goofed, didn't I? The first technique we will be learning is called "Color Spritzing"! This technique involves inking your stamp (we will also ink the "Bright Blessings" wheel) in a light colored ink (More Mustard) then we will use the Color Spritzing tool from the catalog to "spritz" first Ruby Red, then Old Olive marker ink onto the stamp and/or wheel. We will "huff" on the stamp/wheel before stamping to make sure all the ink is moist, then stamp/wheel! The result is a lovely spritzed-blended fall leaves color! Watercolor Vine Jumbo Wheel: #107560 (on the Dormant List which means it is not shown in the catalog, but is still available to buy) I used this wheel to fill in the background on on the More Mustard cardstock base. Soft Suede 1/2" Polka-Dot grosgrain ribbon: #115612 (pg 155) $9.95 for a 15 yard roll! Stampin' Dimensionals: #104430 (pg 192) $3.95 for 300! You can also go directly from this blog to my Stampin' Up! website! 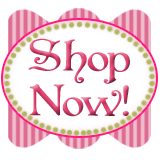 Just click on the "Shop Online" button on the upper left sidebar of this blog, or click here: www.carolpayne.stampinup.net and you will be find a "Shop Now!" button! I will be back again soon!